Another day, another Pick from the top sellers on RPGNow as we say Goodbye RPGNow Week. A company like Zozer Games will miss the site, as they may not get the same time in the top spot landscape. I will have to make sure I do what I can to help offset that, because Zenobia represents the kind of game that folks should get a chance to see among the more dominant product lines. Fallen Rome, desert clans, mythical monsters, intrigue, and so much more, all driven by a streamlined 2d6 system. A complete game using a fast and easy-to-use 2d6 mechanic. With rules for gladiatorial fights, sailing, traps, wilderness travel, combat, magic, cults and ancient religions. Gritty combat results that depend on player decision, not dice rolling. An adventure tool-kit – how to build your fantasy scenario. Campaigns – gladiators, sailors, legionaries, mercenaries … you choose! Useful advice on scenario and campaign construction. Sailing, trading and sea combat rules. Mass battle rules – fight the Battle of Gaugamela in 5 minutes! 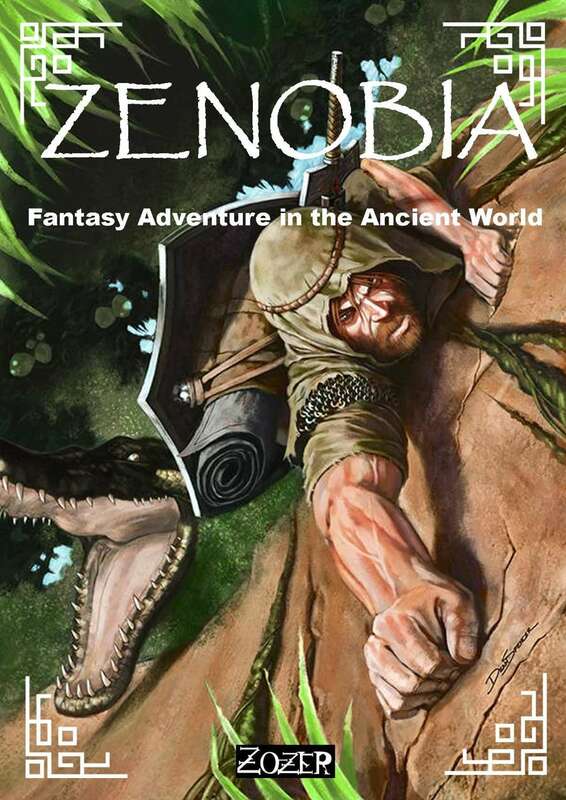 Solo Zenobia – rules to support playing Zenobia campaigns completely on your own. Detailed maps and copious colour and line art. Expansive notes on the cultures and kingdoms of the Desert Kingdoms. One of the most important voices for inclusivity in gaming today is Monica Valentinelli, which is why she is a right and proper choice for Celebrating Diversity Week. Along with such luminaries as Nicole Lindroos, Shanna Germain, and others, Monica advocates strongly for the voices of women and minorities to be heard in all art forms. 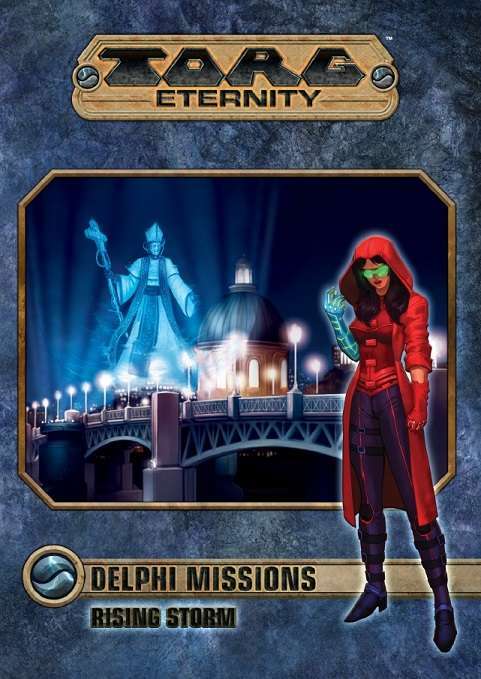 She’s also an incredibly prolific writer and creator, involved in such projects as Prince Valiant, V20, D&D 5e, KOBOLD Guides, and Conan, as well as the current Torg Eternity series of adventures. Rising Storm is the first of a series of adventures designed to enhance any Torg Eternity campaign. Each of the eleven adventures inside is suitable for an evening of play, and may dropped into an existing story or played on its own. These dangerous missions add opportunities and complications to the Storm Knights’ lives. For so many reasons that mean a lot to me, this will be Celebrating Diversity Week at the SPOD, wherein I wish shine the light upon fantastic creators who bring their unique experiences and powerful voices into the chorus of tabletop RPG writing and design. I am proud to know all but one of these amazing people, and humbled that I have some way in which I can uplift their work and remind us all how important it is to welcome everyone to the table, so long as they are welcoming themselves. The one creator I’ve chosen that I do not know is Misha Bushyager, but I’d very much like to. She’s a writer and editor for New Agenda Publishing, as well as their Marketing Manager. She’s also one of the many talenter authors of SAVE: The Eternal Society, today’s Pick, and you’ll also find her work in Misspent Youth: Sell Out with Me and the Quick Start preview for New Agenda’s ORUN. SAVE is the heroic organization that gathers those who’ve experienced the supernatural and unites them in defending humanity from monsters and horror. This is one of the things I always loved about Chill, in that as hard as things are in this dark and terrifying world, there is hope found in unity against evil. Unity against evil, by the way, is why we need to celebrate diversity! The truth is that no manifesto can save the world, no set of laws will save us from the clawing, lurking hands of the Unknown that surround us. At the end of the night, our envoys fight alone against the darkness. When the world stands at the brink of destruction, only those who are ready and able to defend it can say just how far they need to go to ensure our survival. When everything has gone wrong, our envoys will stand and make their choices free of any rules, and we will pray they make the right ones. SAVE: The Eternal Society is a sourcebook for Chill Third Edition. It looks at the type of people who join the Societas Argenti Viae Eternitata. It examines the history of the organization and the rise of Hayat Nejem’s cell-based approach to fighting the Unknown, and provides and expanded system for building a SAVE HQ for your Chill stories. In addition, this book provides four new cases for SAVE envoys to experience, and 10 new creatures to bedevil and terrify them. Anyone can join the Society. All that’s required is the will to face the Unknown. Do you have it? It’s the D&D setting that propelled Keith Baker to international prominence as a writer and designer, the first winner of Wizards of the Coast‘s first fantasy setting search, and it exemplifies Mashup Madness Week perfectly. All the keystone elements of Dungeons & Dragons are here, but with dark, post-global warfare themes, pulp adventure overtones, and techno-magic steam-esque elements like trains and firearms and arcane robots, Eberron shook up the table and reset the board. 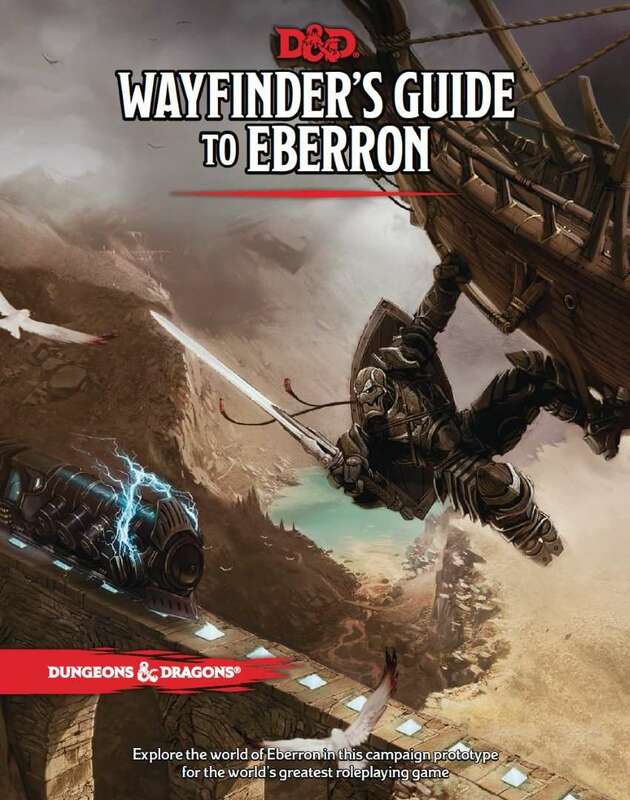 The Wayfinder’s Guide to Eberron introduces the setting to 5e fans, and it also heralds the launch of Eberron on the Dungeon Masters Guild, where you can create and share your own stuff for the setting. Wayfinder’s Guide to Eberron brings the eponymous campaign setting to the fifth edition of Dungeons & Dragons. This 175 page book gives you everything you need to create an Eberron story or character, exploring the core themes of the setting and the rules to implement them in fifth edition. It includes an overview of Khorvaire and the fantastic city of Sharn, along with a host of background ideas and story hooks. I was sad to learn yesterday of the passing of industry giant Loren Wiseman. One of the founders of the trailblazing company, Game Designers Workshop and a co-creator of the definitive sci-fi RPG, Traveller, Loren was a friend, mentor, and inspiration to multiple generations of gamers and, especially, game designers. I knew Loren and we spoke frequently during the early days of my getting into this industry. He was very encouraging, and his wisdom helped me become a better game designer and (for me, more importantly) better at making myself known to the marketplace. He had a quick wit and a big heart. You can be sure glasses will be raised to his memory at many conventions this year. I’m a Kickstarter Pledge Level again, this time running an exclusive premiere game event at Chupacabracon, May 12-14, 2017. If you’ve been trying to figure out which gaming convention to attend, look no further – me and many of my colleagues cannot recommend Chupa highly enough. They bring together an incredible all-star cast of writers, designers, artists, and publishers, and they set up a space and a schedule the likes of which every other game con can learn from. They’re exceptional people running an exceptional event, and I am proud to be going back yet again. Even more proud to be a “pledge level” for them, and I can promise something new, fun, and exciting for those who pledge the Savage VIP Level (as of this writing, there are only three slots left)!